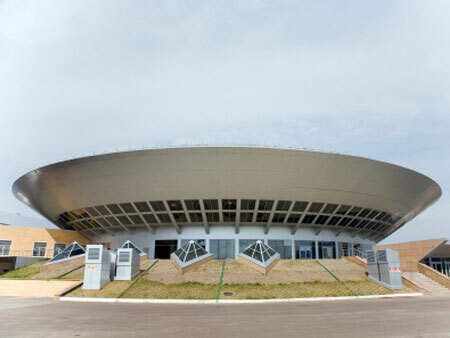 In the late 2005 Astana was the landing site of a UFO in the shape of a huge “flying saucer”. But soon it became clear that it was not a visit of an extraterrestrial civilization but the new capital circus. Thanks to its space-like architecture the building stands out against the urban background. The building is adjoined by the hotel complex, the administration premises, the arena, pens and other circus related building. The circus can seat 2,000 spectators. In the center there is a classic 13-m arena, which is equipped with modern machinery for the different acts: flights, ice shows, arena, etc. The circus staff is 320 people, most of whom are actors. 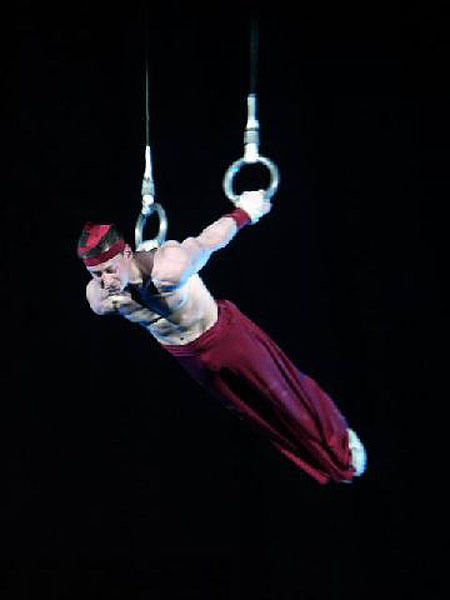 The troupe includes both young circus performers who were awarded various prizes in Kazakhstan as well as honored masters of circus art, the winners of international festivals and competitions. Besides, within the frames of cooperation among creative teams, Astana circus performers tour in Russia, Uzbekistan, Turkey, and Japan. The program includes all popular acts: acrobatics, gymnastics, illusion, clowning, the animal show etc. The actors constantly work and improve their acts to surprise and impress their audience.